Fully revised and expanded to reflect more than a decade of new developments and data, the second edition of this widely acclaimed book presents an up-to-date, comprehensive portrait of the second largest Latino group in the United States. 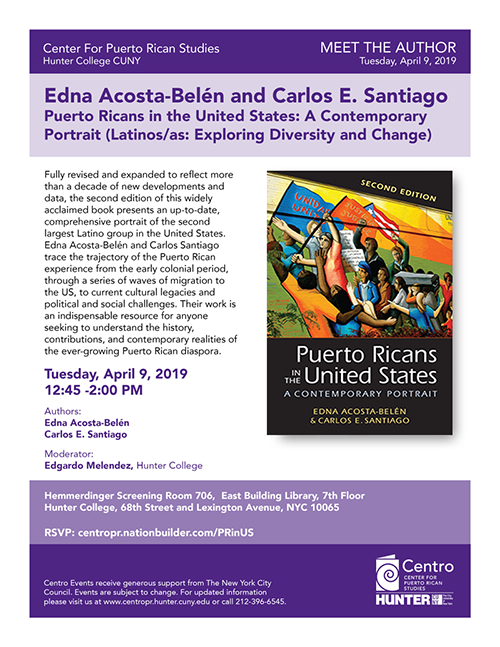 Edna Acosta-Belén and Carlos Santiago trace the trajectory of the Puerto Rican experience from the early colonial period, through a series of waves of migration to the US, to current cultural legacies and political and social challenges. Their work is an indispensable resource for anyone seeking to understand the history, contributions, and contemporary realities of the ever-growing Puerto Rican diaspora.